It is that time again. It’s time in the social swirl when approximately 500 individual and corporate benefactors joining together to support a cultural organization that enriches Houston’s community and lives. 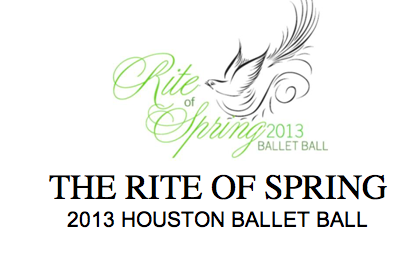 At the Rite of Spring 2013 Houston Ballet Ball. Chairing the Ball this year will be Martin & Kelli Cohen Fein at ablack-tie gala raising at least $600,000 for Houston Ballet Foundation’s programs. Features a gourmet dinner by Tony’s, dancing to the Richard Brown Orchestra, Décor by The Events Company and an extraordinary silent auction that will create a stir during the ball. The Honorees this year are the inimitable Lynn Wyatt and also, Vinson & Elkins, L.L.P. 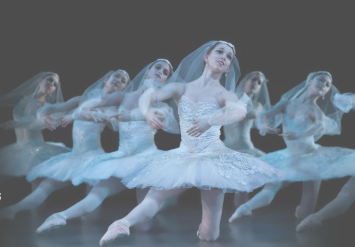 The Ball does such good things in Houston, supporting Houston Ballet’s mission to inspire a lasting love and appreciation for dance through artistic excellence, exhilarating performances, innovative choreography and superb educational programs. This year Individual tickets start at $1,000; tables at $10,000, so what are you waiting for?